COLOMBO: The Bar Association of Sri Lanka (BASL) and the Minister of Foreign Affairs Mangala Samaraweera are mounting pressure on the controversial Supreme Court Chief Justice, Mohan Peiris, to resign and make way for the re-instatement of his impeached and sacked predecessor, Shirani Bandaranayake. According to the BASL, on January 9, the day on which it was clear that the incumbent Sri Lankan President, Mahinda Rajapaksa, was losing the Presidential election, Pieris was discussing with him ways and means of annulling the result. “It is reiterated and emphasized that, it is absolutely essential for the Chief Justice and members of the judiciary to remain strictly separate and uninvolved in political and executive decisions,” a BASL statement said. 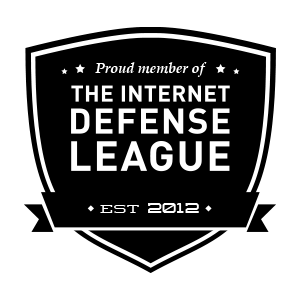 The BASL has since been boycotting the CJ. He was not invited to the Asian Attorneys General Conference here on Monday. Immediately after assuming office, Foreign Minister Mangala Samaraweera petitioned the CID to probe an attempt by Rajapaksa and his cohorts, including CJ Mohan Peiris, to stage a military-backed coup. Subsequently, the AG had sanctioned the investigation. While applying psychological pressure, lawyers are also trying to oust Peiris on purely legal grounds. They maintain that there was no vacancy when he was appointed CJ in 2013. Serving Chief Justice Shirani Bandaranayake had not been removed as per procedure, and therefore, there was no vacancy, argues BASL activist J C Weliamuna. Explaining the flaw, lawyer and TNA MP, M A Sumanthiran, said that Parliament had not passed an appropriate resolution – a proper address to the President seeking the CJ’s removal on the basis of the findings of the Parliamentary Select Committee (PSC). What it passed was an old one which had set the impeachment process in motion. Sumanthiran told Express that he had told parliament about this but the ruling party was in such a hurry, that the flaw was ignored. “If he does not resign, he can be impeached. But that has to be done as per proper procedure,” said leading attorney K Neelakandan. Sri Lankan Prime Minister Ranil Wickremesinghe has said that it was wrong on the part of the Mahinda Rajapaka government to have suspended the Rule of Law during and after the 2006-2009 Eelam War IV. “From 1983, for 20 years, while we fought terrorism, we ensured that the Rule of Law was observed. But this was forgotten thereafter,” the state-owned Daily News quoted the Prime Minister as saying in his address at a conference of South East Asian Attorneys General here on Monday. “It was said that the Rule of Law should be forgotten if terrorism was to be crushed. Terrorism meant that there was no Rule of Law,” Wickrmesinghe recalled. But urging adherence to the Rule of Law even during wars, he referred to the celebrated Liversidge and Anderson case in the UK in 1941, in which the dissenting judge had declared that “law cannot be silent amidst the clash of arms”. The Prime Minister pointed out that the Rule of Law remained suspended even after Eelam War IV, and referred to the jailing of Army Chief Gen.Sarath Fonseka and the sacking of the Supreme Court Chief Justice Shirani Bandaranayake through questionable and summary proceedings. 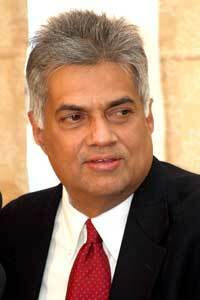 On the on-going UN investigation into war crimes allegedly committed by the Lankan armed forces during Eelam War IV, Wickremesinghe said that there is no question of submitting to an external judicial process because Lanka is not a signatory to the Statue of Rome which set up the International Criminal Court (ICC). “Nevertheless, we will engage with the UN Human Rights Council and concerned members in a positive manner, and hope to come to a settlement on the outstanding issues of human rights,” he added. To ensure human rights, the Justice Ministry is working on a slew of legislations, such the 19 th. Constitutional Amendment to restore Independent Commissions to oversee the working of the principal arms of the State; a Freedom of Information Bill, a Witness Protection Bill, a National Auditing bill and a bill to abolish the death penalty, Wickremesinghe said.